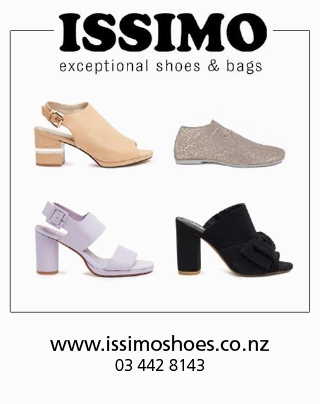 Summer collections at Lily & Esther toast the fashion genius of some of New Zealand’s most celebrated designers. Located in Clyde’s Holloway Street, the fashion haven is a highlight for locals and visitors to the area, stocking leading brands Kowtow, Company of Strangers, Standard Issue, Chaos & Harmony, Staple + Cloth, Juliette Hogan and twenty-seven names. Kowtow’s new swimwear range has been immensely popular featuring bikinis and one pieces in beautiful natural colourways of marigold and midnight. Anna says accessories are key for summer dressing.